RV Tire Safety: "Why do I need a TPMS?" I have owned a TPMS system for several years. During that time I have had two blowouts at different times with no warning from my TPMS. Since my blowouts are from a weak point in my sidewall that blows quickly and with a riffle shot kind of noise how was the TPMS supposed to warn me? Until it blows there is just a small bubble on the side of the tire that can't cause much change in tire pressure until it blows. 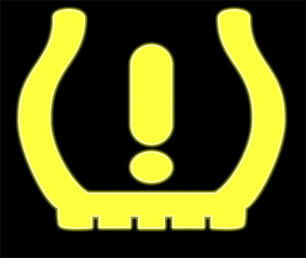 James, TPMS are designed to monitor inflation. If/when a slow leak develops or if the pressure drops due to lack of proper maintenance then the TPM provides a warning. TPM can not warn about an impending Tread Separation. That is why I have written about the need to do a complete inspection every year or maybe every 1,000 miles. The other situation that a TPM cannot warn about is a sidewall failure due to Impact damage. I have also written about Impacts. If you drive over poor or rough roads or even just drop a tire in drainage ditch when turning a corner you need to do a quick visual check of your tires. Your description of the small bubbles suggests that you might have even seen the damage but didn't realize you were looking at a damaged tire that was waiting to fail. I only saw the bubble after the fact when it was a hole. I still own the TPMS and it does warn of higher inflation pressure and higher temperature but the warnings come way before there is a cause for alarm. Tires always heat up and that causes pressure increases but the warnings come too early and are annoying. If the pressure gets too high or if the temperature gets too high I do pull over and deal with the situation. I have never had a tire fail in the 8 years I have RV'ed (5 months a year). Excepting of course the two blowouts that the TPMS did not help with. I have swapped out all the tires as they got too worn or cupped or old. Most just got too old. Although both comments list valid points, most TPMS units also monitor the temperature of the air in the tire. Running low on air will be indicated on the unit's monitor. However as a tire gets close to failure, such as side wall flex, the temperature increases in the tire. This is also tracked by the TPMS unit and if the temperature exceeds the setting, you get an alarm. A TPMS is not a cure all and you still need to inspect the tires for problems, but a TPMS will catch many potential failures before they happen, and I will take that advantage! A properly set and functioning TPM should give low pressure warning way before it hits the high temperature point.